Resolute Marine recently became a member of the European Innovation Partnership on Water (EIP-Water). The EIP-Water is an initiative within the EU 2020 Innovation Union that facilitates the development of innovative solutions to address major European and global water challenges and supports the creation of market opportunities for these innovations, both inside and outside of Europe. In particular, Resolute Marine, will participate in the EIP-Water Action Group “Renewable Energy Desalination” which promotes the use of desalination powered by renewable energy, as an environmentally friendly and decentralised solution for sustainable water supply. 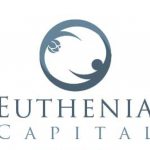 Eugene Lee of Euthenia Capital added; "RME's social impact surpasses most impact investments in focusing its considerable technological and intellectual capital on the water shortages faced by poorer residents in developing countries. Bill and Olivier have honed RME’s technology and scalable business model through years of testing, development, and building corporate and governmental partnerships. We are proud to join the ranks of RME's supporters that include the US Department of Energy in helping RME supply clean water and local jobs in areas of great need."